When it's time to tug, make sure it's a tug from Ruff Dawg. The Tug is an indestructible and durable dog toy! 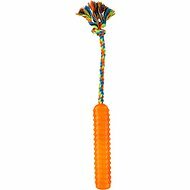 Keep your dog's teeth healthy and your dog active with tug toys from RuffDawg. 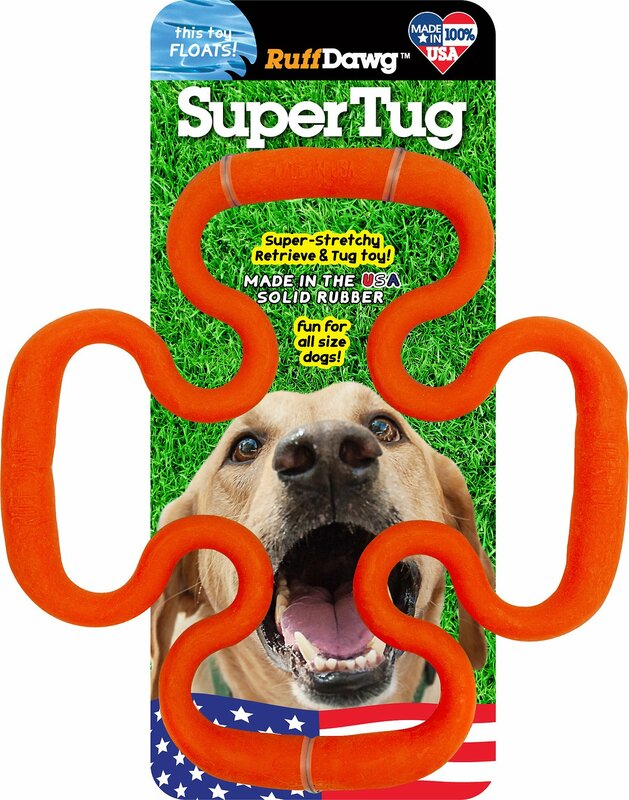 Great for dogs of any size it'll make a game of tug-o-war much more fun! It's gentle on teeth and gums so you can feel confident about playing with your loved one. 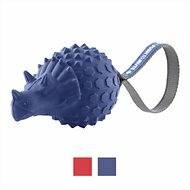 It's rugged and bendable, tear and puncture resistant, and made from super-grade rubber to withstand lots of outdoor fun. Irregular shape makes tugging a different experience every time. 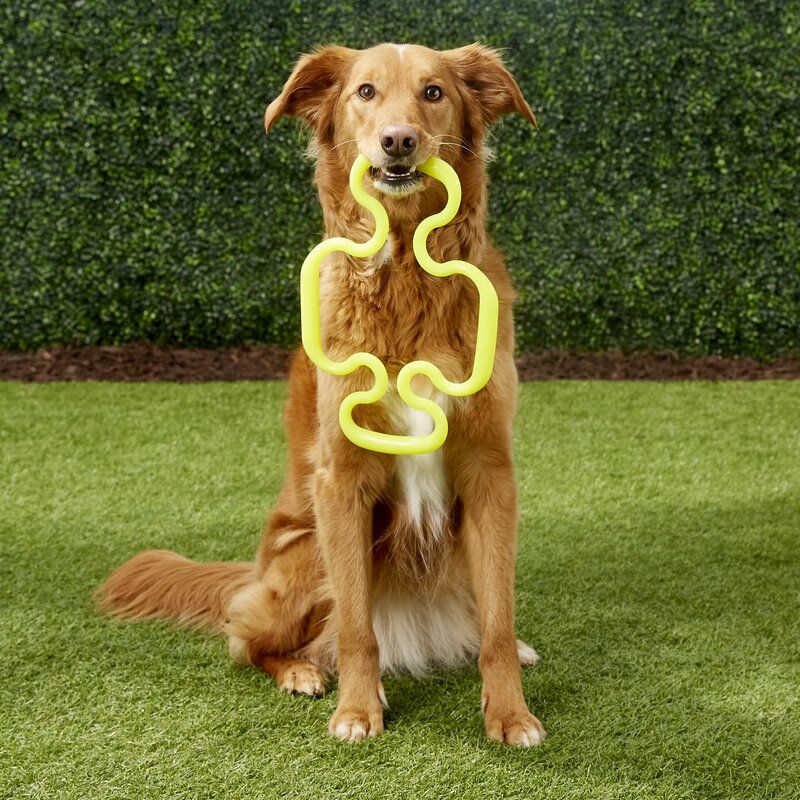 Crafted from non-toxic materials so you can be confident is letting your pet play with it. Only lasted around four hours before my dogs had it in half and began chewing small pieces of the toy. This toy is doing great so far. 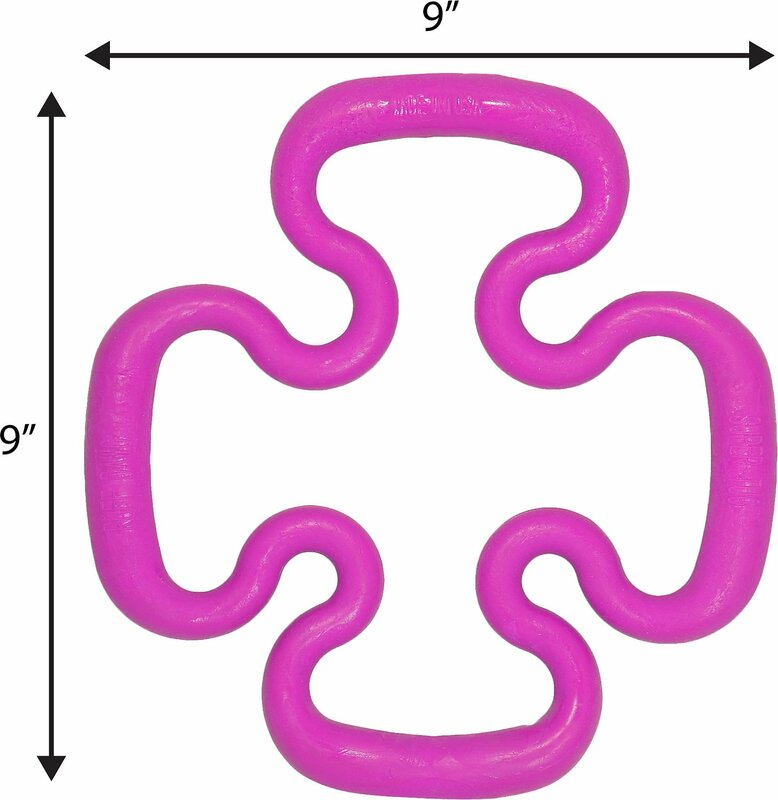 The tug toy seems to be made of the same material that the Pink Ruff Dog Ball is made from. We also utilize all toys with our dog while supervised. No toys are with him when we are not right with him. He likes the Tug a lot. This is a great elastic tug toy, but I can't get either one of my dogs to play with it. It would be great to play tug with a smaller dog because of the elasticity of it. Reminded me of Stretch Armstrong! Our 3 1/2 year old APB terrier had this toy torn apart on her own. She had not even played tug-o-war with our other dogs before it snapped. I recently purchased this item. It is not a tug toy at all. It broke as soon as we played tug with it and snapped back into her face. This might be an ok throw and fetch toy but is by no means a super tug or a ruff dog toy. My dog is a 60# boxer mix and by the end of the evening this toy was in about 6 pieces. I thought this would be a perfect pull toy but the mini Aussie doesn't want to touch it. I think it's the matter it's made of that turns her off. Not sure it would hold up if a stronger tugger got to playing with it. We just received this today. We played with it with our Lab for 30 minutes and it was ripped in half. Not a good toy for a strong tugger. This is not a strong tug toy. Our Australian Shepard snapped it in half on the first night.